– This free tool is an absolute must for the frequent Wi-Fi Hotspot users. Though windows 7 does have a built-in utility to find Wi-Fi networks, it is a very basic utility and you may not be able to choose the right one with it. Xirrus Wi-Fi Inspector provides you with amazing amount of information that makes it not only easy to pick the Wi-Fi Hotspot with the right speed and performance, but you will also be able to troubleshoot the connections! 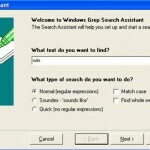 These are a few other useful applications of this free tool, as identified by its makers. You can get detailed information of all nearby Wi-Fi Hotspots in a radar like display. 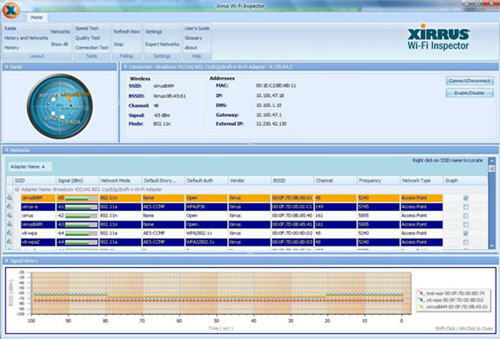 Here are the prominent features of Xirrus Wi-Fi Network Inspector. From the above, it is clear that this is much more than a Wi-Fi Hotspot finder and a more complete Wi-Fi network manager. 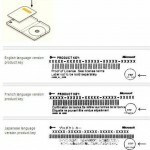 You will need windows 7, vista or windows xp (sp2 or above) to use this software. You will also need a Wi-Fi adapter, either built-in or external. You will also need .NET framework 2.0 or higher. 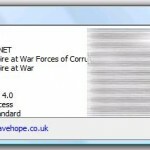 (Download .NET framework 4.0 here). To check if it is already installed, go to “Control Panel” => “Add/Remove Programs” and look for Microsoft .NET Framework. If you want to run speed tests, make sure you have adobe flash player installed – Download Flash Player 10. Wi-Fi in Under 2 Minutes with the Xirrus Rapid Deployment Kit! How to get Free WiFi access anywhere, anytime.